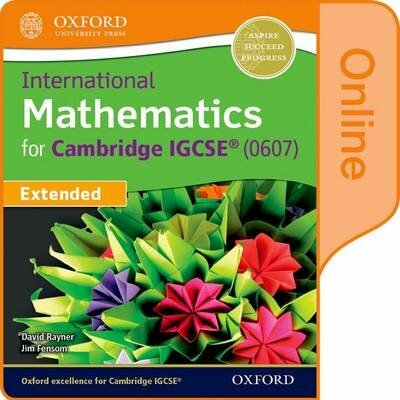 Developed by renowned subject specialists David Rayner and Jim Fensom, this international resource prepares learners for the latest Cambridge IGCSE (R) syllabus (0607) and also lays down the foundations for future success in the IB Diploma Programme. The practice-based approach, with plenty of worked examples, ensures absolute understanding and a strong command of mathematical skills, whilst accompanying digital materials focus on boosting assessment confidence through revision support and practice exam papers. Integrated graphics calculator guidance is also included, allowing learners to hit the ground running in IB Maths.